In today’s business environment having a professional website is essential in building your business and marketing your brand. Many people judge your business by the quality of your website and this is where we can help. 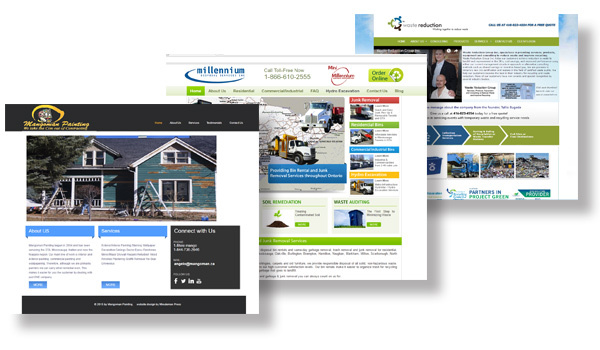 We design, build and host small business websites that will look professional. We will sit down with you to find a look and feel that reflects your business. Below are some websites we’ve built for some of our other clients. Click on them to see what we have previously built. If you want to use your website as a marketing tool, we can also help develop an on line marketing campaign that delivers results. For a price or to contact us on line, please CLICK HERE!